It’s a Modern Cat Life friendship. A story of two young females from opposite ends of cat life, a high energy shelter cat and a gentle retired breeders cat. Learning to accept each other, get along, play, and taking comfort in friendship found. 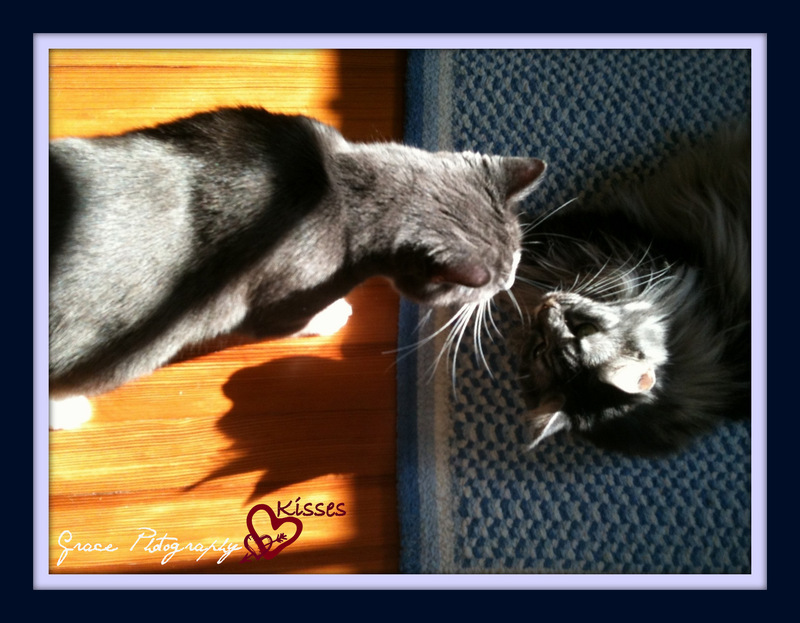 Grace and Twilight send kisses and hope that your friendships grow into love. A friendly Sunday to you!